Btrade Automated Review, Is Btrade Automated SCAM? Yes, It Is! 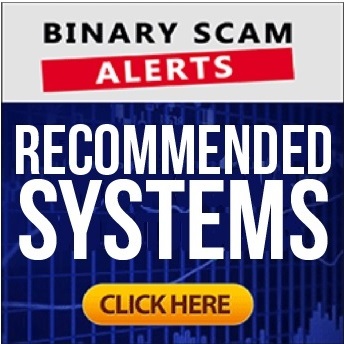 Binary Scam Alerts » Scam Reviews » Btrade Automated Review, Is Btrade Automated SCAM? Yes, It Is! OK, So here is our long overdue Btrade Automated review. If you believe Btrade Automated is a scam you would be correct. It’s no secret that there are some very well-known websites and affiliate marketers out there which have endorsed the Btrade Automated scam software and fraudulent signals app. The truth is, they are not a bad lot, but this time they messed up and now they will end up paying the price of getting their stupid little auto-trader blacklisted. After reading our Btrade Automated review you will understand immediately what you are getting into, and why you should avoid it. The fact is, when we received our first complaint it had to do with a broker name Hybrid Reserve. This Forex and CFD broker is owned and manged by Singlebell LTD and have a registered business address in the Marshal Islands. We have had the displeasure of seeing just how much this broker involved in various forms of financial scams, and we will explain in detail why this is important information which should influence your decision about joining the fraudulent Btrade Automated software and trading robot. So if you believe that Btrade Automated is a legitimate Forex and cryptocurrency trading software, then you are either misinformed or completely oblivious as to what you are getting yourself into. Either way you lose (confirmed)! SCAM ALERT: The Btrade Automated SCAM software is blacklisted due to excessive complaints, specifically regarding the ability to withdraw funds and issues related to overcharging. Below you will see the main sales page and registration area for Btrade Automated scam software. In it you can clearly see that they are clearly telling you that you can make money from “the next bitcoin waves” (whatever that means). Moving forward, here we see the testimonial section for the Btrade Automated software. You can clearly see that “Mark” is not a real person and his image was stolen from Shutterstock and used in a very manipulative way. And here is the last piece of proof (you won’t need any more). Btrade Automated has the same post-registration page as the Britcoin System and Bitcoin Aussie System do. That means that Btrade Automated is a cloned software and therefore rightfully blacklisted. Btrade Automated is marketed as “an auto trading software that generates accurate live signals and executes the trades automatically on your behalf.” They claim it is supposed to be the “ultimate solution for winning trades” and that it maximizes profits and minimizes risk. No other details are provided. Btrade Automated Review, No We Are Not Impressed At All! In all honesty, there’s not much to write home about. Btrade Automated is just an over-hyped sales page designed to get you signed up and trading with a fake cryptocurrency or Forex broker. They say no previous knowledge in online trading is required, but in reality there are no experienced traders or analysts operating behind the scenes. The only one behind the scenes are the scammers, and these guys are playing for keeps! So to answer your question, no you won’t be able to generate profits or withdraw your money. The Btrade Automated software integrates with what we refer to as “deposit only” brokers. That means you can deposit as much as you want, but when it comes to cashing out you can pretty much talk to the wall as you will get a similar response at best and most likely a rude reply advising you to “go away”. Access to Btrade Automated will cost you at least $250, and as usual that money will be deducted from your credit card by the sleazy broker allocated to you. For sure, we saw a few of those and we already know why this is happening. The webmasters who wrote these fake reviews are getting paid on the back end. So don’t believe it and don’t join this program. If after reading our Btrade Automated Review you still feel an urge to dive in an invest using this fraudulent software, then we recommend you avoid online trading altogether as it is most likely not for you. The ones to avoid are Bitcoin Revolution and Bitcoin Loophole. We are constantly searching the internet for new and profitable systems. We managed to find a few which actually produce revenue consistently. These apps are all listed in our recommended section so please take a minute to check it out. The Btrade Automated scam software, app, and automated trading system is a BLACKLISTED auto trader. It would be utterly pointless to try and prove the opposite is true, or alternatively try to convince us otherwise because we actually invested money using this software and ended up losing everything in about 10 minutes. If you need additional proof of scam or would like to share your experience, please make sure to leave a message below and we will try to respond as soon as we can. We can also be contacted via our our Facebook Page and YouTube channel .